Aspiring Zifa president Felton Kamambo has appealed to the Fifa Ethics Committee following his disqualification from running in the polls set for December 1. Kamambo, a former Zifa board member, had hoped to challenge the incumbent president Philip Chiyangwa at next month's election, but was barred after failing an ‘‘integrity test'' conducted by the Zimbabwe Anti-Corruption Commission (Zacc). Former Njube Sundowns director Gift Banda together with Mlungisi Moyo were also barred from standing in the forthcoming elections. Banda had hoped to challenge the incumbent Omega Sibanda for the Zifa vice president's post while Moyo was eying a seat on the board. In banning Kamambo, Zifa alleged that the former Silo United official tried to overthrow the current board when he resigned together with fellow board member Paraisihe Mabhena in March earlier this year. He was also accused of sexually assaulting members of the Mighty Warriors. Kamambo believes that all these accusations against him are being fabricated to stop him from challenging Chiyangwa. "Find herewith attached my formal complaint against Zifa board and its secretariat," Kamambo wrote last week to the Fifa Ethics Committee in a dossier seen by the Daily News. "In all fairness and for fair play, the issues raised in my attached documents are very pertinent and requires urgent Fifa intervention before the situation becomes worse." 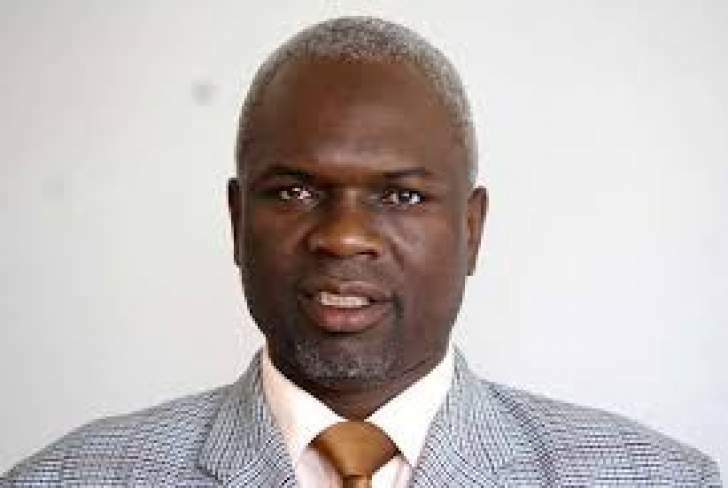 In his submissions to the Zurich-based organisation, Kamambo went on to list a number of irregularities conducted by the Zifa board and the secretariat in the run-up to the polls. "I would like to bring to your attention that the board has been involved in a litany of constitutional and electoral regulatory violations, all of which have been an effect of undermining the just conduct of elections," he said. "These legal trespasses are of such a magnitude that they have resulted in substantial non-compliance with the constitution and existing electoral laws governing Zifa elections. "The system is being manipulated by those who are currently in position of authority so as to determine the outcome of the election. "As a result, the entire election process is so fundamentally flawed and so fraudulently conducted that it cannot be said to have been conducted in substantial compliance with the constitution...consequently seek the intervention of Fifa to bring normalcy to the decaying situation." The Kwekwe-based aspiring Zifa president alleges that irregularities started during the initial stages of the elections in the Area Zones. "When the elections for the lower leagues started the interference by the Zifa executives was there for anyone who cares to see," he wrote. "Members who never used to vote in previous elections were added to the Electoral College. This was only done in areas they wanted to get rid of people perceived not to support them. "There was total intimidation of voters. Voters were intimidated by the executive and told who to vote for by the executive. Some voters were suspended for disobeying their instructions." Kamambo also went into detail how his nomination and appeal process was frustrated. "When the nomination process for the Zifa executive members opened, on October 15, 2018, it was not published in the media as was the norm or custom practise neither was it placed on the Zifa website," he wrote. "The nomination process was shrouded in secrecy. The idea was not to publicise the nomination period so that it closes before anyone is nominated to contest. "When those willing to contest started picking up nomination forms, some were refused access by the secretariat which clearly usurped the powers of the Electoral Committee. "I'm one of the persons who was denied access to the nomination forms by a Zifa employee..."
Kamambo went on to query the involvement of Zacc in the Zifa elections. "The new provision requires prospective applicants to be cleared by Zacc. This requirement is not in the Zifa statutes and was not even brought to the congress for approval in light of Article 29 (1) of the Zifa Statutes which read ‘The congress is responsible for amending the Statutes and the Standing Orders of the Congress'," he wrote. "The roles and functions of Zacc in terms of Section 255 of the Constitution of Zimbabwe Amendment (No. 20) Act 2013 is to investigate corruption in Zimbabwe as approved by the state president among other issues and not to replace the Ethics Committee's responsibilities. "Previously in the past elections, members were only required to be cleared by the police in the absence of the Zifa Ethics Committee."